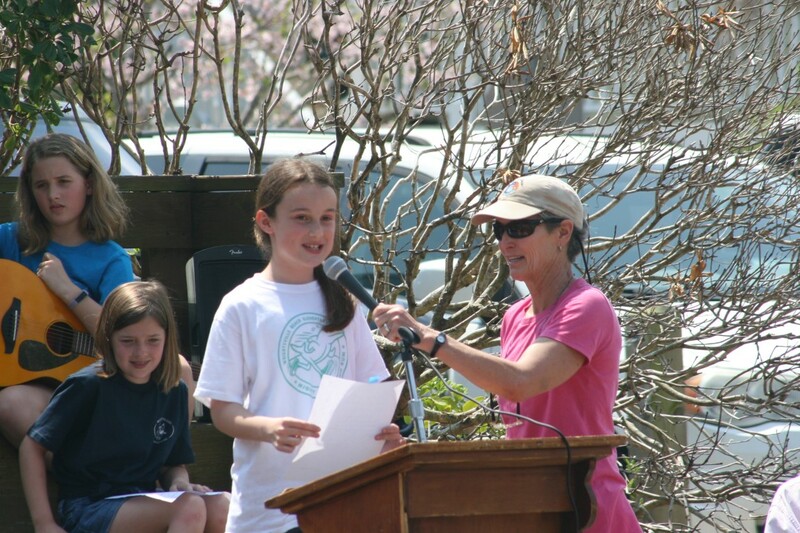 With teacher Cissie Brooks holding the microphone, fourth grader Marakesh Lubbers talks about her experience at the Wrightsville Beach Elementary. Staff photo by Terry Lane. 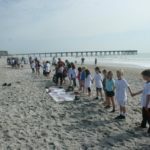 Facing a year-long hiatus from its location on Coral Drive, students and staff of Wrightsville Beach Elementary School said goodbye to the location and reflected on the school’s history during a celebration this week. 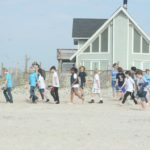 Starting on April 22, Wrightsville Beach Elementary School students will attend Blair Elementary School while construction crews renovate the 64-year-old facility, adding a second story and eliminating the portable buildings that are used for classrooms. The students’ last day in the location is Friday, April 12, the final day before a week-long Spring Break. 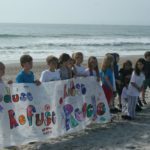 On Monday, approximately 400 students, staff and parents conducted a beach sweep that spanned from Mallard Street to the north to the Blockade Runner Beach Resort to the south. Following that, students and parents gathered on the front lawn of the school, where Principal Jackson Norvell led a farewell ceremony, noting that the school’s fifth graders would never return. The school construction is expected to last approximately one year. 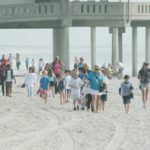 However, while the building may change, Norvell said that the Wrightsville Beach School is more than a building. 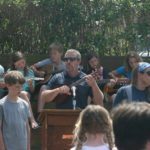 Principal Jackson Norvell leads the students in song while playing the ukulele during a send-off celebration for Wrightsville Beach Elementary. Staff photo by Terry Lane. In addition to Norvell’s comments, Former students and staff spoke about their experience at the school, including former principal Ralph Davis and former student Lucrece Medlicott, who is now the school’s librarian. Davis, who was the principal from 1970-1974, said to help make learning more active, the school embarked on an innovative educational project called Sea Shell City, where students set up stores, a bank and even had an early version of Uber, allowing students to hail rides in hand-pulled wagons. Medlicott recalled that she was a teller in the city’s bank. Former second-grade teacher, and current substitute teacher, Terry Carter, gave attendants a history of the school, which was founded in 1954 after a survey from the Lions Club found a need for the school. Some of the first students of the school would share textbooks, she said, and the school consisted of three classes, one for first- and second-graders, one for third- and fourth-graders and one for fifth- and sixth-graders. Not long after being opened, the school was damaged by Hurricane Hazel, Carter said, but students returned after repairs were made in 1954. The school faced many of the same growth that other educational institutes of the time did, she said, noting that it bused in students in the 1970s and got computers in the 1980s. Early bus routes brought students from as far away as Wilshire Boulevard. The school was also damaged in 1996 by Hurricane Fran, taking on nearly three feet of water, Carter said. In the 2000s, trailers were added to accommodate the growth and in 2017, the school was honored as a National Blue Ribbon School for its excellence in academics. 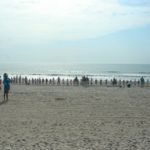 “You can always come back to the Wrightsville Beach School,” Carter said. After her remarks, more than two dozens students took to the microphone to tell about what made the school special for them. The ceremony concluded with Norvell leading the students in a song written for the occasion. Norvell strummed his ukulele while a half-dozen students accompanied him on guitar. The new design of the school will eliminate the nine portable classroom trailers that are now behind the school building. The school was also using some available classroom space at Wrightsville Beach Baptist Church. Instead, a new second floor will be built in the space, resting on top of the existing building. “The idea is to bring all of the students and staff into one building and one roof,” said Eddie Anderson, New Hanover County Schools assistant superintendent for planning and operations. The reconstruction is part of a the school bond referendum passed by county voters in 2014. The new building will have mostly classrooms, but will also include a new media center. The lower building will feature a reception area that will include security features and allow for visitors to be checked in before being allowed access to the school. There will also be minor renovations to the existing building. 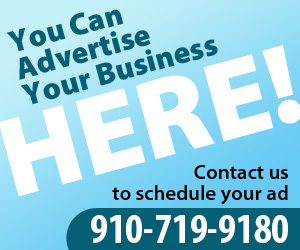 The new design also includes changed to improve lighting.